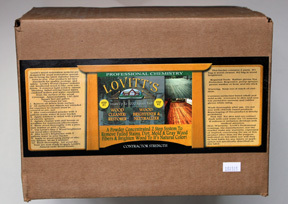 Lovitt's Cleaner & Brightener Kits packaged together in a (4) kit box restores up to 4000 square feet of wood surface. 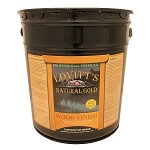 Lovitt's Cleaner & Brightener Kits packaged together in a box of (4) kits restores up to 4000 square feet of wood surfaces. This 2-step formula is our best selling wood restoration and maintenance product and now comes packaged in a box of 4 to save shipping costs. Use Step #1 Wood Cleaner to remove most old, failed penetrating stains, grey and darkened wood, mold, and dirt from the surface of your wood using your pressure washer or a stiff brush and your garden hose. Once the wood is cleaned, while still wet, immediately use Step #2 to neutralize the effects of the cleaner and brighten the wood up to its' neutral PH and bright natural wood color. 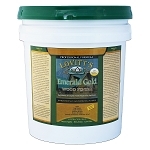 Some call this product a magic bullet, but you try it and decide for yourself, but we know you will be impressed with what this product can do to clean up ugly wood.